We know how it works in our own backyards, like New England and Utah, but what about in far-flung locales? 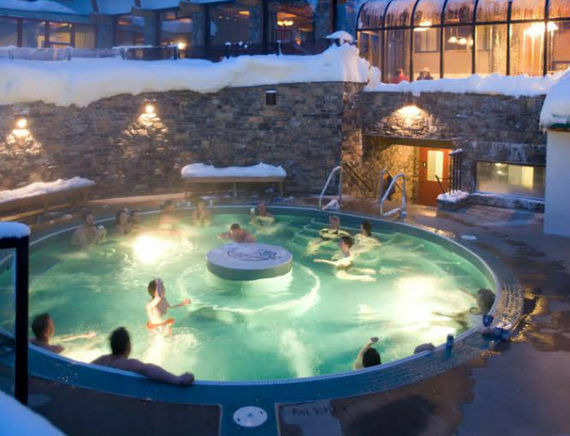 There's no denying it: Sometimes the best part of a ski day is the après-ski. 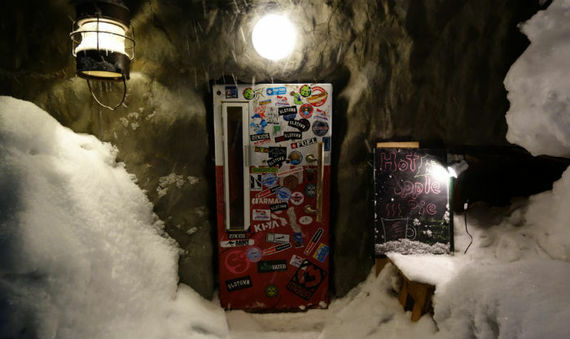 From laid-back to lascivious, there are all sorts of après opportunities around the world. We know how it works in our own backyards, like New England and Utah, but what about in far-flung locales? 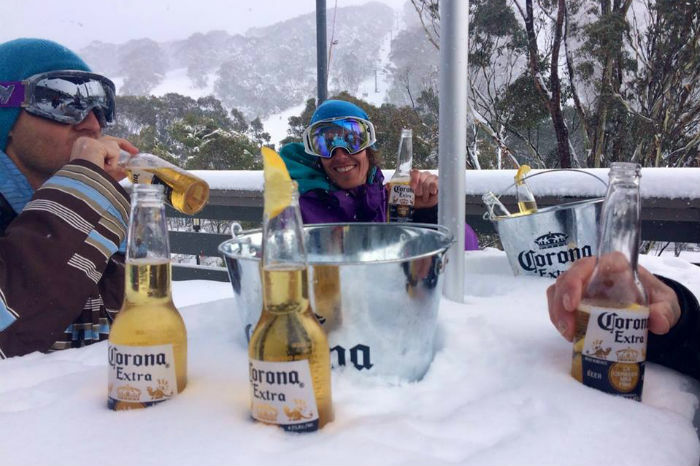 It's possible to ski year-round, traveling from hemisphere to hemisphere, so it's necessary to know how to après wherever the snow falls, from Australia to Austria and Chile to Canada. In order to help you out on your next international ski trip, or simply provide a bit of inspiration for your next après experience ("upside-downer," anyone?) we compiled this continent-by-continent guide with the help of some après loving friends. Our neighbors to the North know how to après and have plenty of resorts at which to partake. 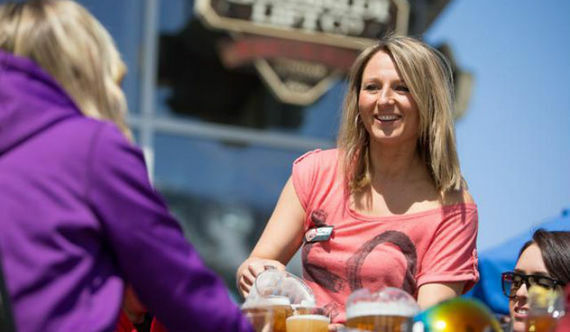 From British Columbia to Alberta and Ontario to Quebec, there are enough opportunities to après that it would take a lifetime to experience them all--but it would be fun to try. When the heat rises in the United States, it's time to venture south of the Equator for your turns. Chile, as well as Argentina, is home to some amazing ski resorts, while Bolivia has a 600-foot stretch of glacier that can serve as a run during the winter, if you're really desperate. We suggest sticking to the sanctioned slopes for the most fulfilling après. 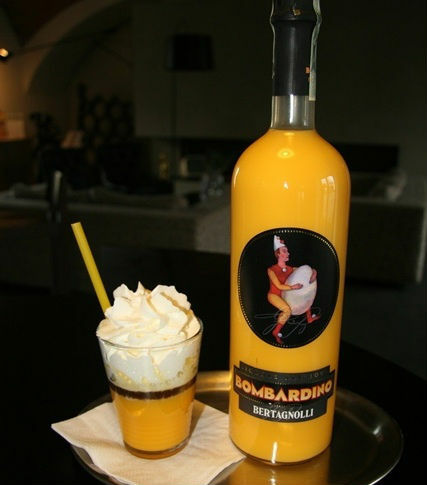 Austria is considered the home of après ski--some might even say that they invented it. As a result, you can be sure that no matter where you go, there will be plenty of opportunities to party. 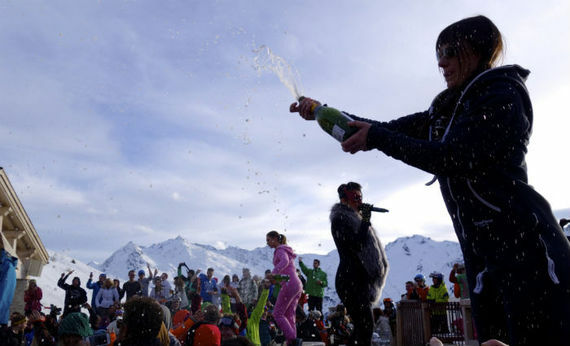 Wear your most comfortable ski boots as you'll soon be dancing on the tables in them. Italy's Dolomite mountains are home to some of the most well-regarded slopes in Europe, where it's possible to ski all day and not repeat a run. 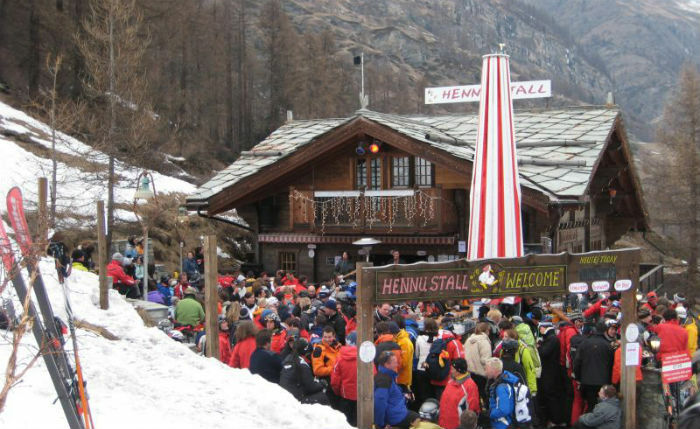 The après ski scene usually takes place in bars in town after a full day on the slopes. While France may not see as many après-related ski injuries as its Austrian friends, France has its fair share of lively resorts where, when offered a pitcher of beer to swig from while dancing on a table in your ski boots, the only acceptable answer is "Oui!" It's true: very few skiers think "Greece" when it comes to a skiing destination. But the same country that provides amazing beaches and ouzo also gives you the opportunity to ski and enjoy sea views at the same time. Après ski in Switzerland is a day-long affair, with revelers coming off of the mountain in the dark. 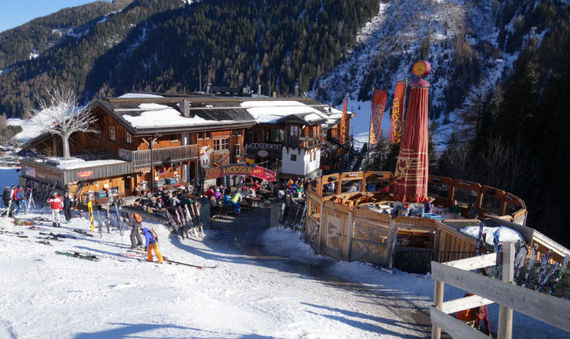 Once down the ski slope, the party continues well into the night in bars and restaurants in town. Japan is home to more than 600 ski resorts, so there are plenty of options to explore and plenty of après to experience. In addition to the multitude of bars and nightlife, be sure to get in at least one visit to the "onsen," naturally occurring volcanic hot springs. Though Dubai is located in the Arabian desert, that doesn't mean that you have to skip the slopes. 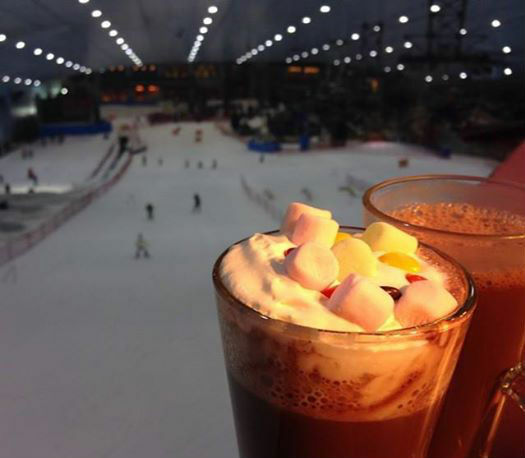 Ski Dubai, the first indoor ski resort in the Middle East, is located in the Mall of the Emirates and features 242,188 square feet of indoor ski area. 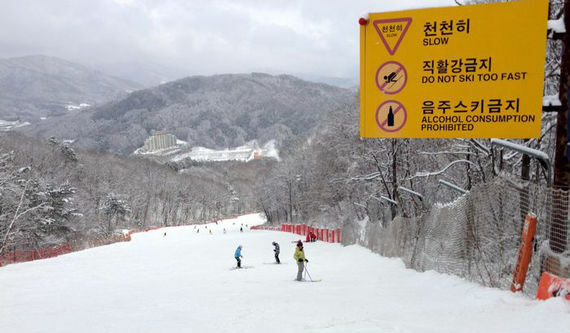 Korea will be hosting the 2018 Winter Olympics in PyeongChang. While there's not a huge après scene there now (most skiers prefer hot chocolate after a day on the slopes), we have a feeling that the influx of skiers from around the world might change the après scene in the next few years. Koreans, in general, take a different approach to drinking than Westerners do. Whereas Westerners like to get out, toss'em back and mingle with the crowd, Koreans prefer to stick within a tight-knit group of friends, eat, drink and have a laugh. As such, the après scene in Korea is almost non-existent. If you're in need of a few après beers after a day on the slopes, visit one of the local marts where you can buy canned beers to enjoy anywhere you can find to sit around the base area. Think about Australia and what most likely comes to mind is the dry, uninhabited expanse of the Outback. 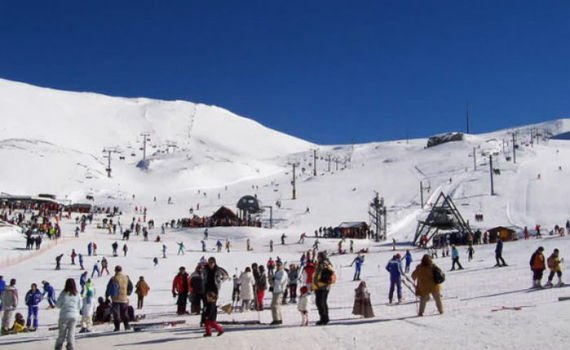 However, Australia is home to several ski resorts, mostly in New South Wales and Victoria, and a population of avid skiers and snowboarders. Plus, there's nowhere else in the world where your tree runs take you through eucalyptus. 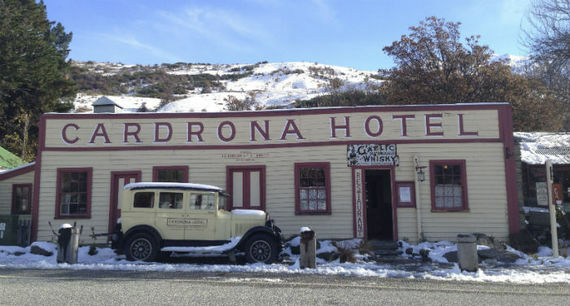 New Zealand is known for its wide range of adventurous activities (it's the home of commercial bungee jumping, after all) and is home to more than 15 commercial ski fields on both islands. Unfortunately, no hobbits have been sighted on the snow. Yes, there is skiing is Africa. Not much, but there are ski resorts. The Ice Station, the legendary pub at Tiffindell Ski Resort, is home to one of the most extreme après activities we've heard of: the "upside downer," which involves strapping yourself into a pair of skis that are bolted to the roof, then downing a shot.